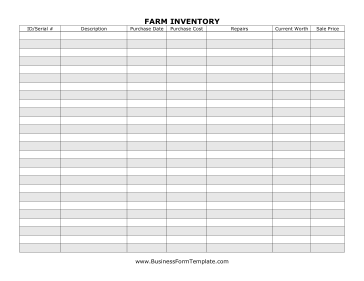 Keeping track of important farm equipment can be difficult. When was that piece purchased? How much is it worth? Make the process easier on yourself by keeping careful records using this form.